In this one hour, complimentary webinar, learn how to develop and execute a change management process that is appropriate for your lab informatics solution’s scope of deployment. All information systems will eventually reach the end of their life. If you go the route of Data Migration, you'll need to know how to identify what, when, and how data should be migrated to the new Lab Informatics system. This webinar will cover those items and help you prepare a plan for the data migration move. 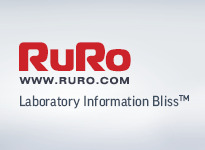 RURO, Inc., an industry leader of Laboratory Information Management Systems (LIMS) and Sample Management Solutions will exhibit at Pittcon 2013, the world’s largest annual premier conference and exposition on laboratory science. Visit RURO March 18-21 at Booth # 1806, at the Pennsylvania Convention Center in Philadelphia, USA. Thermo Fisher Scientific* Inc., the world leader in serving science, today announced the Thermo Scientific* SampleManager 11*, the newest, most configurable version of one of the world’s most widely deployed laboratory information management systems (LIMS). SampleManager 11 features advanced new tools and user-interface enhancements that improve laboratory process mapping, management and automation. Thermo Fisher is featuring SampleManager 11 within booth #1835 at the Pennsylvania Convention Center during Pittcon 2013, being held March 17-21, in Philadelphia. Thermo Fisher Scientific Inc., the world leader in serving science, today announced that it is launching significant innovations in software, instruments, consumables and services that unify its industry-leading analytical instrument platforms and enable customers to turn data into knowledge faster and more reliably. CSols, Inc., a leader in the Laboratory Informatics industry, announced today that their Road Show is on the move again and heading to California. 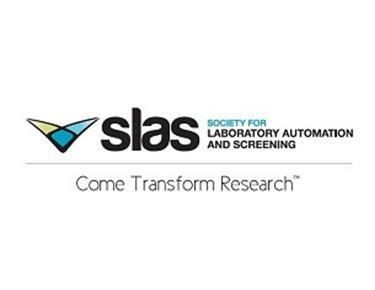 CSols plans to visit San Francisco on March 26th, Los Angeles March 27th, and San Diego March 28th and host the complimentary seminar “Leveraging Informatics to Support Lean Labs” from 8am – 10am. Registration is required and a light breakfast will be provided. Ingenuity® Systems, a leading provider of biomedical information and genomics analysis solutions, and GeneInsight®, a wholly owned subsidiary of Partners HealthCare and a leading developer of software to support reporting for genetic testing laboratories, today announced that they will collaborate on an integrated workflow solution, encompassing the annotation, analysis, assessment and reporting of human variants from sequencing-based tests. AB Sciex LLC, a global leader in analytical technology, today announced the availability of new software and service offerings to simplify and accelerate the integration of micro LC technology into regulated bioanalytical laboratories. Accelrys, Inc., a leading provider of scientific innovation lifecycle management software, today announced the expansion of the Accelrys Process Management and Compliance Suite with the addition of the Accelrys Laboratory Information Management System (LIMS). Waters Corporation and DANI Instruments today announced that Waters® Empower® Chromatography Data Software now provides control for DANI Headspace and Gas Chromatography instruments. Through this partnership, customers will now be able to take advantage of the full potential of both companies. 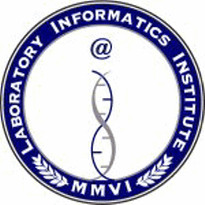 Autoscribe will be showing the Matrix Gemini Laboratory Information Management System (LIMS) at the ISBER exhibition (May 5-9, 2013, Sydney, Australia). This provides a highly configurable environment for all aspects of biobank, biorepository and clinical trials management with no custom coding required. A data management solution can be designed quickly to represent exact user requirements in terms of workflows, screen designs, menu designs, terminology, report designs and much more. 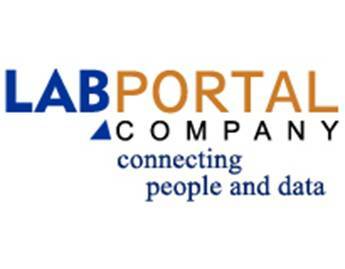 03/12/2013 - Lab Portal Company offers a solution to the dilemma provider’s face in allowing patient access to their test results online. A laboratory web portal can be about so much more than just publishing laboratory test results online. It can be an opportunity for laboratories to streamline the order process by capturing the patient information online, educating providers and patients about their tests, while decreasing turnaround time, and improving data quality. INTERPHEX is the leading annual pharmaceutical and biopharmaceutical trade show. Key decision makers find the networking opportunities, products, services and information they need to ensure quality and maximize efficiency, agility, and flexibility that solve manufacturing and supply chain problems. INTERPHEX is where intelligence and passion intersect with the full spectrum of industry products and services to create new insights and innovation. Questions or Comments? We'd like to hear your comments and suggestions. E-mail your feedback or questions to us at cjones@limsinstitute.org Copyright Laboratory Informatics Institute, Inc. All rights reserved.